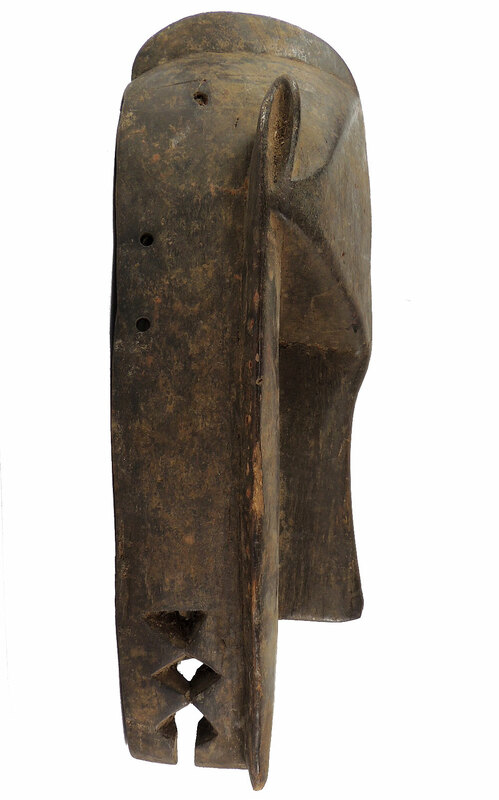 Additional Information: The Dogon are known for their elaborate funeral rituals with extensive use of masks. To say that they are one of the world's most fascinating cultures is an understatement. The more we learn, the more remarkable they seem. Their art is outstanding, as their masks and other objects reflect a purity of style rarely encountered in modern Africa. The oral tradition of the Dogon tells us that they originated on the west bank of the Niger River about 1000 years ago. They moved west at some point, into parts of what is now Mossi territory in Burkina Faso, but chose to return east due to pressure to assimilate into the Mossi Kingdom. This time, around 1500, they found a place almost unreachable by invaders on horseback--the arid but imposing Bandiagara Cliffs. Here most of the Dogon have remained to this day, scattered over about 150 miles, as one of Africa's most spiritual people. Dogon family dwellings, as well as their shrines and granaries, are constructed in a uniquely haunting way, leaving even the most jaded observer spellbound, in what can only be described as a magic kingdom. 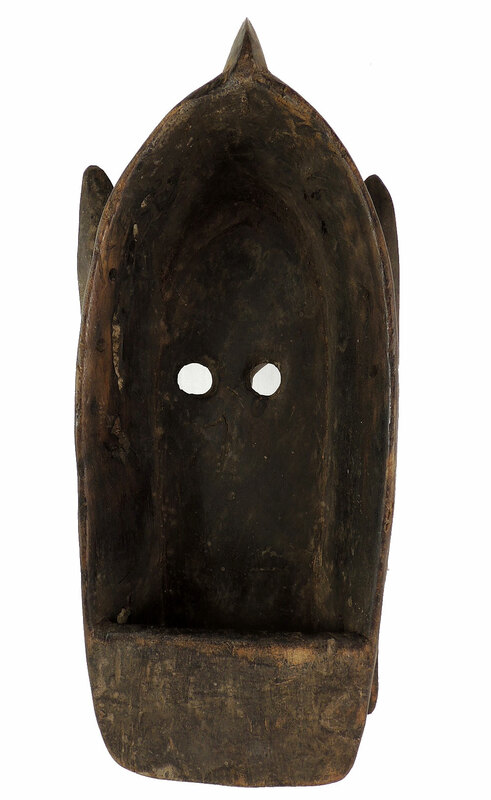 The Dogon have also taken the time-honored worship of ancestors to new heights, and their huge pantheon of astounding and colorful masks reflect this. It is possible today for tourists and scholars to arrange masked dances for public view, but these dances are for entertainment only, and only a few of the mask-forms are actually revealed. Ritually meaningful dances are not shared with the public. Griaule, M. Masques Dogon. 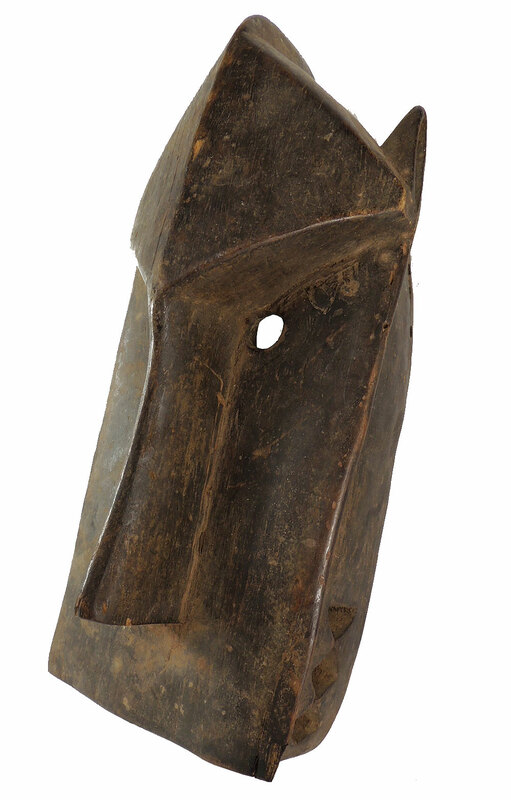 1963 DeMott, B. Dogon Masks.1979. Imperato, PJ.P., Dogon Cliff Dwellers. 1978 Ezra, K. Art of the Dogon. 1988.